Endemic to Jamaica where it is threatened by illegal logging, wood harvesting and the proliferation of invasive non-native species. 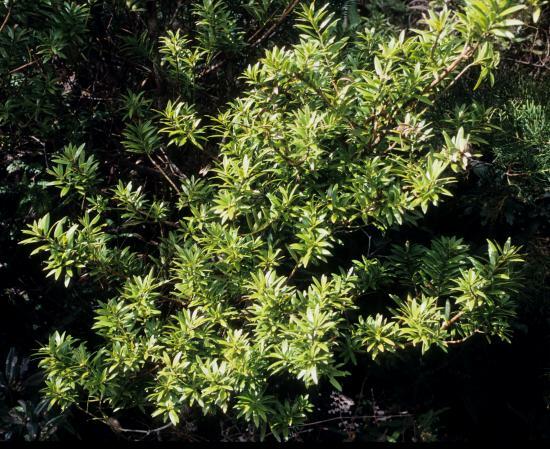 Podocarpus urbanii occurs in the eastern part of Surrey County in the Parishes of St. Andrew, Portland and St. Thomas within the Blue and John Crow Mountains. It has an estimated EOO of 50km² which has been calculated using grid references taken from herbarium specimens deposited in The University of the West Indes (UCWI) and The Institute of Jamaica (IJ). A collection from the Parish of St. Ann (Middlesex County) and deposited at UCWI, has been confirmed as being planted. Trees are still present in large numbers and dominant in pockets throughout the Blue and John Crow Mountains National Park. Historically the population has decreased but it still has healthy stands throughout the National Park that spans the three Parishes, however there are clearly well-documented threats to the population. It is known that within the current documented range there are further stands in inaccessible locations. The trees form a more or less continuous distribution throughout the ridge forest of the Blue and John Crow Mountains: this represents a single location. Generally restricted to the high montane cloud forests along the ridge of the Blue and John Crow Mountains National Park. It is less common where slopes are steep or unstable. Canopy dominants at these sites include: Clethra occidentalis, Podocarpus urbanii, Cyrilla racemiflora, Alchornea latifolia and the introduced invasive species Pittosporum undulatum. The wood is highly valued for furniture making and as such illegally removed and sold for this industry. Podocarpus urbanii has an estimated extent of occurrence (EOO) of 50km². The ridge forests of the Blue Mountain and John Crow Mountain National Parks where it occurs, are considered to represent a single location. In addition to the documented stands there are thought also to be a number of inaccessible stands which have yet to be documented. Even though it is afforded protection within the Blue and John Crow Mountain NPs, which was established in 1990, the general habitat is still under considerable threat from deforestation resulting from subsistence and commercial farmers using slash and burn techniques to convert forests to agriculture land. Illegal timber harvesting is a significiant threat while invasive species that are rapidly spreading in closed canopy forests and along tracks and stream sides also represent a threat. Due to its limited EOO, presence at a single location, recent and continuing decline in mature individuals as well as a recent and continuing decline in the the extent, area and quality of habitat, this species has been assessed as Critically Endangered. Research has shown that deforestation and forest fragmentation in Jamaica were among the highest in the tropics during the 1980s (Eyre 1987; Tole 2002). Illegal logging and wood harvesting and the proliferation of invasive non-native species such as Hedychium spicatum and Pittosporum undulatum in the Blue and John Crow Mountain National Parks are the main threats to the population of P. urbanii. Much of the clearing of forest is for subsistence farming and housing, commercial coffee farming, cultivation for short-term crops on steep slopes and illegal encroachment of Reserve/Park land (Headley, 2003). Other threats include hurricanes and landslides that occur from time to time: by and large the species is adapted to these events although the large scale disturbances associated with hurricanes can accelerate invasion by Pittosporum undulatum (Bellingham et al. 2005). Podocarpus urbanii is afforded protection in The Blue and John Crow Mountains National Park which is protected under law by the Natural Resources Conservation Authority (NRCA) Act which states that the land is to be “maintained for the benefit of the public”. The Jamaica Conservation Development Trust is the organization presently mandated to manage the National Park. However, research has shown that forest clearance, re-growth and fragmentation in the park are still on-going, and occurring at pre-National Park levels (Chai et al. 2009). Bellingham, P.J. (1993). 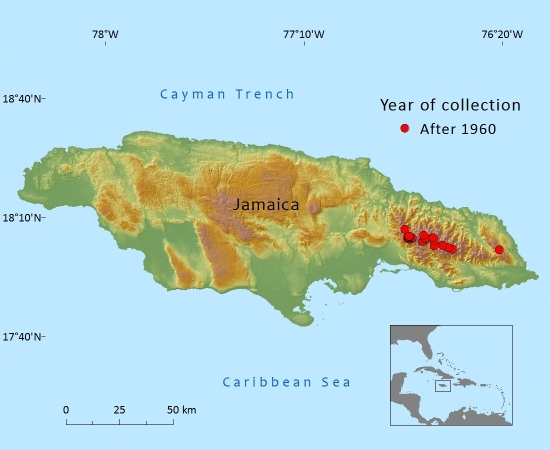 The effects of a hurricane on Jamaican montane rain forests. Ph.D. dissertation, University of Cambridge, UK. Bellingham, P.J., Tanner, E.V.J. & Healey, J.R. (1994). Sprouting of trees in Jamaican montane forests, after a hurricane. Journal of Ecology 82: 747–758. Bellingham, P.J., Tanner, E.V.J., & Healey, J.R. (2005). Hurricane disturbance accelerates invasion by the alien tree Pittosporum undulatum in Jamaican montane rain forests. Journal of Vegetation Science 16:675–684. Campbell, K.C.St.E. (2010). Endemic Trees of Jamaica. Institute of Jamaica, Kingston. Chai, S.-L., Tanner, E. & McLaren, K. (2009). High rates of forest clearance and fragmentation pre- and post-National Park establishment: The case of a Jamaican montane rainforest. Biological Conservation 142(11): 2484–2492. Dalling, J.W. (1995). The effect of litter and soil disturbance on seed germination in upper montane rainforest, Jamaica. 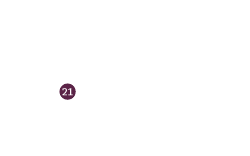 Caribbean Journal of Science 31(3-4): 223–229. Evelyn, O.B. & Camirand R. (2003). Forest cover and deforestation in Jamaica: an analysis of forest cover estimates over time. International Forestry Review 5(4): 354–363. Eyre, L.A. (1987). Jamaica: test case for tropical deforestation? Ambio 16: 338–343. Headley, M. (2003). Co-Management of Jamaica’s Blue and John Crow Mountains National Park. Status and trends of, and threats to, mountain biodiversity, marine, coastal and inland water ecosystems: Abstracts of poster presentations at the eighth meeting of the Subsidiary Body on Scientific, Technical and Technological Advice of the Convention on Biological Diversity (CBD Technical Series No. 8), pp. 16–19. Secretariat of the Convention on Biological Diversity, Montreal. Parker, T. (2003). Manual of Dendrology, Jamaica. Forestry Department, Ministry of Agriculture, Kingston, Jamaica. Staskiewicz, J. (1988). A taxonomic revision of the genus Podocarpus from the Greater and Lesser Antilles. Fragmenta Floristica et Geobotanica 33(1): 71–106. Tole, L. (2001). Jamaica’s disappearing forests: human and physical aspects. Environmental Management 28: 455–467. Tole, L. (2002). Habitat loss and anthropogenic disturbance in Jamaica's Hellshire Hills area. Biodiversity and Conservation 11(4): 575-–598. K.C.Campbell,and J.Meikle, 2015. Podocarpus urbanii, from the website, Threatened Conifers of The World (http://threatenedconifers.rbge.org.uk/taxa/details/844).